Mulberrys of Suffolk are one of East Anglia’s leading installers of luxury, bespoke conservatories and orangeries, so they know a thing or two about conservatory design. Read on as they divulge their top tips for summer 2014. On trend colours change from season to season, however the challenge can be to make sure that all of the colours you have going on in your conservatory work well together. With this in mind, it is useful to keep white or cream as your base colour which you can then accessorize around depending on your preference. Purple is set to become one of the most popular colours as we enter the summer, and you will see it cropping up in numerous designs over the coming months. We’d expect this trend to start out with lighter shades before gradually growing darker as we approach the autumn. The benefit of using accessories to keep your colour schemes up to date is that it is really simply, and doesn’t require you to undertake a massive decorating job every time you fancy a change. In fashion and interior design it never seems like trends stay around for very long, but this is not the case with natural and dishevelled aesthetics, which looks set to continue throughout 2014. The repurposing of natural or rustic materials not only looks great, but it is also a much more affordable way of decorating your conservatory, and is of course great for the environment-conscious to exercise their creative side while doing their bit for the planet. Of course to achieve this natural design you need to use natural materials, and the likes of wood and rattan furniture look likely to be major players in conservatory design (and interior design in general) throughout the rest of 2014. Natural materials have proven popular over the last few years for their durability, promising furniture that will be long-lasting, an important quality in the post-recession market place. Like with using white paint as a base, wooden and rattan furniture allows the homeowner to experiment with different styles of cushions and fabrics, changing the overall decor of the conservatory on a whim. 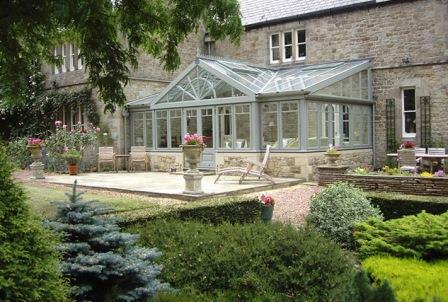 How do you plan to decorate your conservatory for summer 2014? Let us know below in comments section or connect with us on Facebook and/or Twitter. This guest blog was written by John Rooney in partnership with Mulberrys of Suffolk – the region’s premier name in the installation of high quality conservatories and orangeries. Good information; using natural materials and materials will reduce your costs and are eco friendly. Keep posting.